Shauna knows what it takes for lawyers to build successful careers. Shauna C. Bryce, Esq. is the founder and principal of Bryce Legal, a career coaching and résumé writing boutique exclusively for lawyers. With more than 20 years in law and legal hiring and degrees from Harvard Law School and The Johns Hopkins University, Shauna is a nationally recognized expert in professional development, career development, career transition, social media, and résumés for lawyers. As a former practicing attorney and member of an AmLaw 200 law firm hiring committee, she knows what it takes for lawyers to build successful careers. She’s worked with some of the nation’s top attorneys—at places like Global 100 law firms and companies, Google, DreamWorks, Major League Baseball, the U.S. Supreme Court, and the White House. More about Shauna C. Bryce, Esq. Shauna encourages attorneys to look beyond traditional prestige-based definitions of success in order to pursue their own definitions of success—incorporating personal factors like fulfillment and happiness. Shauna C. Bryce has been a lawyer in an AmLaw 100 firm, an AmLaw 200 firm, and in a corporate legal department. She graduated with honors from The Johns Hopkins University (BA, 1993) before attending Harvard Law School (JD, 1996). Among other honors, she was an editor on the Harvard International Law Journal and a research assistant for the late Hon. A. Leon Higginbotham, Jr., former Chief Judge of the Third Circuit Court of Appeals who was then a professor at Harvard’s John F. Kennedy School of Government. After law school graduation, Shauna practiced law in the Manhattan flagship office of the AmLaw 100 international law firm Paul Weiss. After moving from New York to New Jersey, she joined the commercial litigation department of the AmLaw 200 law firm Sills Cummis. At Sills, she represented Fortune 500 multinationals, regional companies, and state businesses before federal and state courts. Shauna also worked on trademark and other intellectual property litigation, commercial contract disputes, and medical device and product liability matters. In addition to the law firms of Paul Weiss and Sills Cummis, Shauna spent nearly two years in a regulated utility before being asked to return to Sills as the lead associate on a pharmaceutical manufacturer’s national defense team. That mass tort grew to a federal multi-district litigation with parallel state court actions in more than a dozen states nationwide. As part of that litigation, Shauna served on joint defense committees with lawyers representing co-defendant global manufacturers. After these closed door sessions, Shauna was often told by law firm partners, associates, and staff alike: “This was great,” “I feel so much better,” “This was like therapy,” and “You should do this for a living.” Going into legal careers was an easy decision when she stepped off the partnership track. Since then, How To Get A Legal Job® has since expanded into a series. Shauna’s LexisNexis webinars and her expert advice column in Bloomberg Law and the American Bar Association have been made available to nearly every law school and law student in the country. She’s been featured in news, publications, or events with Harvard Law School, PennLaw, Forbes, Fortune, National Association of Women Lawyers, Law360, U.S. News & World Reports, and many others. 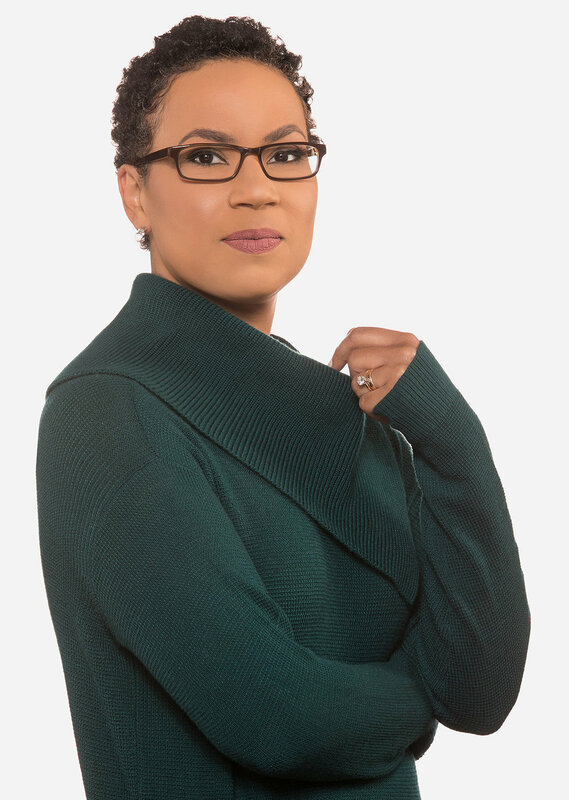 Her roles have included job search and career development coach, legal résumé writer, author, columnist, blogger, speaker, trainer, alumni leader, and board member for nonprofits devoted to best practices for career professionals. One thing that hasn’t changed over the years: Offering clients lessons learned from an ever-expanding network of attorneys across sectors and industries—in addition to her own experiences and expertise—remains a founding principle of Shauna’s work. Shauna has been a leader in and member of a variety of associations, including numerous Harvard and Johns Hopkins alumni and affinity groups. Moderator. “Private Sector Career Panel,” Harvard Law School Women's Alliance (DC Chapter), hosted by Miller & Chevalier Chartered, Mar. 2019. Co-Presenter. “Image is Everything: 5 Business Etiquette Strategies,” part of full-day pre-con “General Counsel Training and MBA for Lawyers,” Corporate Counsel Women of Color (CCWC) 14th Annual Career Strategies Conference, New York, NY, Oct. 2018. Moderator. “Taking Care of Your Career & Yourself: Practical Strategies for Sustainable Success,” Harvard Law School Celebration 65: Raising Our Voices, Cambridge, MA, Sept. 2018 (Appearance canceled due to Hurricane Harvey). Shauna C. Bryce was selected by her classmates to be the Harvard Law School 1996 Class Symposium speaker, addressing mid-career options and decision-making in “Improving with Age: Making the Most of Your Legal Vintage." Introduced by Dave Aronberg, State Attorney for Palm Beach County, Florida. Co-Presenter. “Success and Wellbeing for Lawyers: How can you be more successful and less stressed?” Harvard Law School Association of Washington DC, hosted by George Washington Law School, June 2018. Panelist. “Career Development Forum: Next-Level LinkedIn: Advanced Strategies to Achieve Your Career Goals,” Association of Corporate Counsel (ACC) National Capital Region hosted by Hogan Lovells, McLean, VA, Feb. 2018. Presenter. “Building an Executive Presence,” Harvard Club of Washington, DC co-sponsored by the Harvard Law School Association of Washington, DC and hosted by Hogan Lovells, Dec. 2017. Host. “Tai Chi & Brunch,” Johns Hopkins Women in Business Affinity Group, Annapolis, MD, Nov. 2017. Host. Johns Hopkins Women in Business Affinity Group Leadership Retreat, Annapolis, MD, Oct. 2017. Executive Career Coach. Corporate Counsel Women of Color (CCWC) 13th Annual Career Strategies Conference, New Orleans, LA, Sept. 2017. Host. “Red Sox vs. O’s: Tour & Talk with David Friedman, Red Sox Senior VP, Legal & Government Affairs,” Johns Hopkins Alumni Association Boston, Law Affinity & YAC, at Fenway Park, Boston, MA, Aug. 2017. Moderator. “5 Creative Strategies for Career Development: You Don’t Have to Play Golf to Get Ahead,” Corporate Counsel Women of Color (CCWC) One-Day Career Strategies Conference, hosted by K&L Gates LLP, New York, NY, Apr. 6, 2017. Moderator. “5 Strategies on How to Gain Visibility and Become Invaluable as a Law Firm Associate,” Corporate Counsel Women of Color (CCWC) One-Day Career Strategies Conference, hosted by K&L Gates LLP, New York, NY, Apr. 6, 2017. Speaker. Envision National Youth Leadership Forum on Law & CSI, Chantilly, VA, July 11, 2016. Presenter. “Improving With Age: Making the Most of Your Legal Vintage,” Harvard Law School 1996 Class Symposium, Spring Reunion, Cambridge, MA, Apr. 2016. Alumni Host. “Get Fiscally Fit: Focus on Financial Wellness,” Jania Stout, Johns Hopkins 4th Annual Women in Business Conference, Washington, DC, Feb. 2016. Panelist. “Carpe JDiem: Leveraging Legal Skills in Alternative Careers,” Penn Law Asian Pacific American Law Students Association (APALSA) 15th Annual Conference “Amplify: Promoting Diversity in a Time of Progress,” University of Pennsylvania Law School, Philadelphia, PA, Jan. 2016. Host. The National Resume Writers’ Association (The NRWA) National Conference, Charlotte, NC, Sept. 2015. Co-Presenter. “Eye on the C-Suite: A Crash Course for Your Future,” Harvard Club of Washington, DC, hosted by Hogan Lovells, June 2015. Panelist. Towson University’s College of Liberal Arts Career Symposium, Apr. 2015. Co-Presenter. “Build a Niche Career Services Firm to Attract and Serve Your Ideal Clients,” pre-conference workshop, The National Résumé Writers’ Association (The NRWA) National Conference, Denver, CO, Sept. 2014. Shauna C. Bryce was invited by PennLaw APALSA to be a legal careers panelist for “Carpe JDiem: Leveraging Legal Skills in Alternative Careers” at University of Pennsylvania School of Law. Moderated by Vivia Chen, senior columnist at The American Lawyer and the creator of The Careerist blog, with Djung Tran of Tran Law Associations; Scott Lee of the U.S. Commodity Futures Trading Commission; and David Zhou of the SDNY U.S. Attorney's Office. Presenter. “When Dreams Confront Reality: Preparing Students for the New Normal,” Maryland Career Development Association (state division of the National Career Development Association, which is, in turn, part of the American Counseling Association) annual conference, Columbia, MD, Apr. 25, 2014. Co-Presenter. “Preparing for On-Campus Interviews,” LexisNexis, July 1, 2014. Panelist. “Interviewing for Internships: Techniques and Etiquette,” The Johns Hopkins University, Baltimore, MD, Mar. 2013. Co-Presenter. “Preparing for On-Campus Interviews,” LexisNexis, July 18, 2013. Panelist. “Internship Interview Techniques and Etiquette,” The Johns Hopkins University, Baltimore, MD, Oct. 2012. Co-Presenter. “Preparing for On-Campus Interviews,” LexisNexis, Aug. 12, 2012. Presenter. “5 Secrets to Getting a Job in the Legal Profession,” Careerealism Expert Hour, Apr. 2012. Presenter. “PITA Self Defense Class,” The National Resume Writers’ Association (The NRWA), teleseminar, Jan. 2012. Panelist. “A Career Panel: Seeking Employment and Building a Career in the Public Sector,” Alliance of Black Women Attorneys of Maryland (affiliate of the National Bar Association and the American Bar Association), hosted by University of Baltimore Law School, Nov. 2011. Panelist. “Internship Interview Techniques and Etiquette,” The Johns Hopkins University, Baltimore, MD, Nov. 2011. Guest Speaker. “The Practice of Law,” Krieger School of Arts & Sciences, The Johns Hopkins University, Jan. 2011. Presenter. “Attorney Resumes,” The National Resume Writers’ Association (The NRWA), teleseminar, Nov. 2010. Guest Speaker. “The Practice of Law,” Krieger School of Arts & Sciences, The Johns Hopkins University, Jan. 2010. Panelist. “Job Interview Techniques and Etiquette,” The Johns Hopkins University, Sept. 2009. Featured Speaker. “Client Agreements,” The National Résumé Writers’ Association (The NRWA) National Conference, San Diego, CA, Sept. 2008. Author. “How to Launch Your Legal Career Via Management Consulting,” Job-Hunt.org, Aug. 2, 2018. Author. “Landing a Great Lawyer Job With Not-So-Great Grades,” Job-Hunt.org, July 30, 2017. Author. “The Appropriate Length for an Attorney Résumé,” Job-Hunt.org, Nov. 12, 2017. Co-author. “Mentoring: The secret to career advancement in any field,” American Bar Association Legal Career Center, Apr. 19, 2017. Author. “How to Become One of the Most Powerful Lawyers in New York State Government,” How I Got My Legal Dream Job, Aug. 2016. Co-author. “Rapid-Fire Career Development Strategies to Help You Reach the Top,” American Bar Association Legal Career Center, Aug. 29, 2016. Author. “Stop Chasing People Who Don’t Value What You Offer,” Forbes, July 18, 2016. Author. “How to Become an SVP and In-House Lawyer for the Boston Red Sox,” How I Got My Legal Dream Job, Jan. 2016. Co-author. “Mentoring is the secret to career advancement,” National Association of Women Lawyers, 101 Women Law. J. 1 (2016). Co-author. “Branding and Networking: Rapid-fire career development strategies to help you reach the top,” National Association of Women Lawyers, 100 Women Law. J. 4 (2015). Author. “Quasi-Legal Jobs Can Jumpstart Your Legal Career,” Bloomberg Law, Sept. 13, 2012. Author. “Best College Majors and Activities for Aspiring Law School Students,” National Career Development Association’s (NCDA) Career Convergence, Sept. 2012. Author. “Life Plus Seventy: The Extension of Copyright Terms in the European Union and Proposed Legislation in the United States,” 37 HARV. INT’L. L.J. 525 (1996). Selected as “Worth Reading” by the National Law Journal, NAT’L. L.J., Dec. 2, 1996, at B21. Over the years, Shauna’s work has been published and reprinted 75+ times in more than a dozen outlets, including Ms. JD., International Business Times, and Work It Daily / Careerealism. We’ve listed some of them here. Ask the Hiring Attorney® originated with the Military Spouse JD Network before being taken over by Bloomberg Law in 2012. The 32-column series is now being updating and reprinted by the American Bar Association. Author, “Ask the Hiring Attorney: Can I put my photo on my resume?,” Beyond the Bar, ABA for Law Students, June 12, 2018. Author, “Ask the Hiring Attorney: Can I ask professors to connect on LinkedIn?,” Beyond the Bar, ABA for Law Students, May 14, 2018. Author, “Ask the Hiring Attorney: Do I have to sign a cover letter that’s electronically delivered?,” Beyond the Bar, ABA for Law Students, Apr. 12, 2018. Author, “Ask the Hiring Attorney: Do I respond to informational emails from the partner?,” Beyond the Bar, ABA for Law Students, Mar. 12, 2018. Author, “Ask the Hiring Attorney: How do I stand out at a law firm holiday reception while still playing it safe?,” Beyond the Bar, ABA for Law Students, Dec. 10, 2017. Author, “Ask the Hiring Attorney: How much do I need to know about firms where I’m interviewing?,” Beyond the Bar, ABA for Law Students, Apr. 21, 2017. Author, “Ask the Hiring Attorney: How do I answer questions about my strengths?,” Beyond the Bar, ABA for Law Students, July 21, 2016. Author, “Ask the Hiring Attorney: How do I show my bar status on my resume?,” Beyond the Bar, ABA for Law Students, June 16, 2016. Author, “Ask the Hiring Attorney: How can I sound qualified?,” Beyond the Bar, ABA for Law Students, May 19, 2016. Author, “Ask the Hiring Attorney: What does it mean to 'be professional'?,” Beyond the Bar, ABA for Law Students, Apr. 4, 2016. Author. “Why Your Resume Should Be Ready Before You Need a Job,” Work It Daily (fka Careerealism), June 7, 2014. Author. “3 Items to Hide from Your Interviewer,” Work It Daily (fka Careerealism), Dec. 27, 2013. Author. “6 Ways To Find Your Digital Dirt Before Your Employer,” Work It Daily (fka Careerealism), Dec. 17, 2013. Author. “How to Handle Salary on Application Forms,” Work It Daily (fka Careerealism), Nov. 5, 2013. Author. “3 Hygiene and Grooming Faux Pas Your Interviewer Won’t Tell You About,” Work It Daily (fka Careerealism), Oct. 27, 2013. Author. “5 Clues Your LinkedIn Strategy Needs Help,” Work It Daily (fka Careerealism), Oct. 10, 2013. Author. “Why Networking Is Important For Your Job Search And Career Development,” Work It Daily (fka Careerealism), Sept. 22, 2013. Author. “Why You Should Verify Employment Information With Past Employers,” Work It Daily (fka Careerealism), Sept. 8, 2013. Author. “How To Be A LION On LinkedIn,” Work It Daily (fka Careerealism), Aug. 13, 2013. Author. “Is Your Spam Filter Blocking Your Job Search?,” Work It Daily (fka Careerealism), Aug. 10, 2013. Author. “3 Reasons Why Your Interviewer isn’t Your Friend,” Work It Daily (fka Careerealism), Aug. 9, 2013. Author. “8 Snacks To Satisfy Stress Munchies,” Work It Daily (fka Careerealism), Aug. 1, 2013. Author. “Why Your References Should Be Ready Before Starting Your Job Search,” Work It Daily (fka Careerealism), July 17, 2013. Author. “5 Common LinkedIn Mistakes,” Work It Daily (fka Careerealism), May 2, 2013. Author. “5 Wardrobe Malfunctions Your Interviewer Won’t Tell You About (Men’s Edition! ),” Work It Daily (fka Careerealism), May 6, 2013. Author. “3 Reasons to Use a New Phone Number for Your Job Search,” Work It Daily (fka Careerealism), Apr. 27, 2013. Author. “4 Clues Your LinkedIn Strategy is Working,” Work It Daily (fka Careerealism), Apr. 23, 2013. Author. “Should You Upload Your Resume to LinkedIn or Other Social Media?,” Work It Daily (fka Careerealism), Feb. 6, 2013. Author. “Removing Your Address and Home Phone Number from Your Resume,” Work It Daily (fka Careerealism), Nov. 2, 2012. Author. “Don’t Believe the Hype: Paper Resumes Aren’t Dead,” Work It Daily (fka Careerealism), Sept. 21, 2012. Author. “Don’t Believe The Hype: Paper Resumes Aren’t Dead,” Southworth, Sept. 13, 2012. Author. “Being a Manager Doesn’t Make You a Leader (And Vice Versa! ),” Ms. JD, July 17, 2012. Author. “Ask the Hiring Attorney with Shauna C. Bryce, Esq.,” 2 Military Spouse JD Network: A Bar Association for Military Spouses Newsletter 1, June 24, 2012. Author. “Ask the Hiring Attorney with Shauna C. Bryce, Esq.,” 1 Military Spouse JD Network: A Bar Association for Military Spouses Newsletter 12, June 20, 2012. Author. “6 Ways to Shorten Your Job Search Without a Resume,” Work It Daily (fka Careerealism), May 15, 2012. Author. “6 Ways to Shorten Your Job Search Without a Resume,” Hope for Jobs, May 14, 2012. Author. “Entrepreneurs: The Fallacy of the Big Idea,” Work It Daily (fka Careerealism), May 1, 2012. Author. “Entrepreneurs: The Fallacy of the Big Idea,” Hope for Jobs, Apr. 30, 2012. Author. “Your Interview is Not Your Friend,” Ms. JD, Apr. 22, 2012. Author. “5 Wardrobe Tips for Interviews (Men’s Edition),” Southworth, Apr. 6, 2012. Author. “Ask an Expert with Shauna C. Bryce, Esq.,” 1 Military Spouse JD Network: A Bar Association for Military Spouses Newsletter 9, Mar. 22, 2012. Author. “3 Reasons Why Your Interview Isn’t Your Friend,” International Business Times, Mar. 7, 2012. Author. “5 Critical Differences Between Legal and Business Resumes,” International Business Times, Mar. 1, 2012. Author. “5 Critical Differences Between Legal and Business Resumes,” Work It Daily (fka Careerealism), Mar. 1, 2012. Author. “Ask an Expert with Shauna C. Bryce, Esq.,” 1 Military Spouse JD Network: A Bar Association for Military Spouses Newsletter 8, Feb. 17, 2012. Author. “3 Items to Hide from Your Interviewer,” International Business Times, Feb. 17, 2012. Author. “3 Hygiene and Grooming Faux Pas Your Interviewer Won’t Tell You About,” International Business Times, Feb. 6, 2012. Author. “5 Wardrobe Malfunctions Your Interviewer Won’t Tell You About (Women’s Edition! ),” International Business Times, Jan. 29, 2012. Author. “Ask an Expert with Shauna C. Bryce, Esq.,” 1 Military Spouse JD Network: A Bar Association for Military Spouses Newsletter 7, Jan. 18, 2012. Author. “5 Wardrobe Malfunctions Your Interviewer Won’t Tell You About (Women’s Edition! ),” Work It Daily (fka Careerealism), Jan. 18, 2012. Author. “5 Wardrobe Malfunctions Your Interviewer Won’t Tell You About (Men’s Edition! ),” International Business Times, Jan. 16, 2012. Author. “5 Wardrobe Malfunctions Your Interview Won’t Tell You About (Men’s Edition),” Sci Tech Watch, Jan. 16, 2012.